Deep neck flexor muscles are not particularly obvious to the untrained eye, but they do play an important role in the health of your neck. They tend to be affected by whiplash and other neck injuries. The deep neck flexors consist of: the longus colli, longus capitus, rectus capitus and longus cervicus. All help you maintain neck stability and good posture. What makes this group of four so important? Studies report that about 70% of people with chronic neck pain become weaker here. If this is true of you and you get it treated, your physical therapist may give you exercises that strengthen these muscles. And your massage therapist, if he is properly trained (preferably clinically) in neuromuscular techniques, may do some intricate work on them to help release tension and restore motion. 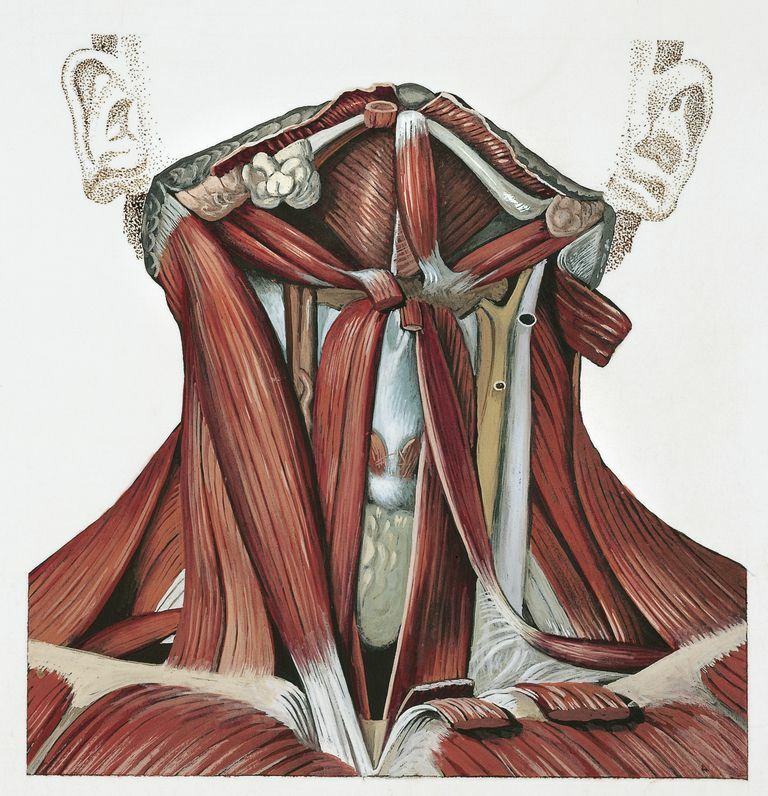 FYI, of the four deep neck flexor muscles, this article talks mainly about the longus colli. It also talks about the group as a whole. The role of the longus colli muscle and other deep cervical flexors in chronic neck pain is a complicated one. It's already established that the deep neck flexors tend to fatigue when you have chronic neck pain. In this case, you may substitute more superficial neck muscles to move your head forward, for turning or rotating - your body's way of compensating. The deep neck flexors are also easily deactivated when you have a neck condition. This is especially true in comparison to the superficially located muscles that perform the same (neck flexion) action. A 2016 study found that activating and strengthening the deep cervical flexors can help improve posture in this area, as well as increase functioning and reduce pain and other symptoms over the long term. Falla D. Unraveling the complexity of muscle impairment in chronic neck pain. Man Ther. 2004 Aug;9(3):125-33. Jull GA, O'Leary SP, Falla DL. Clinical assessment of the deep cervical flexor muscles: the craniocervical flexion test. Manipulative Physiol Ther. 2008 Sep;31(7):525-33. doi: 10.1016/j.jmpt.2008.08.003. Kim, J., Kwag, K. Clinical effects of deep cervical flexor muscle activation in patients with chronic neck pain. J Phys Ther Sci. Jan. 2016.